These black adult sized fairy wings have an iridescent sheen and are perfect for your Dark Fairy costume. Black nylon fabric is lightweight, with a wire frame to keep the correct shape. 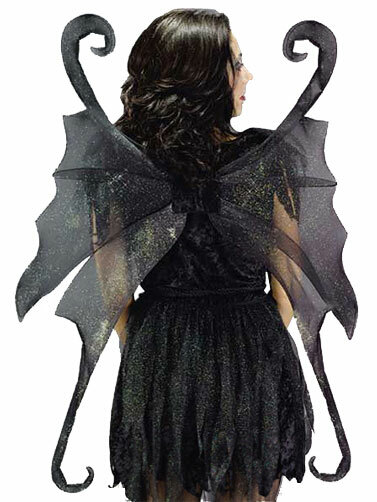 Black Adult Fairy Wings span 30" x 36", and fold for easy storage.